With the increasing popularity of Microbreweries, comes the increased demand on how to finance the operation. 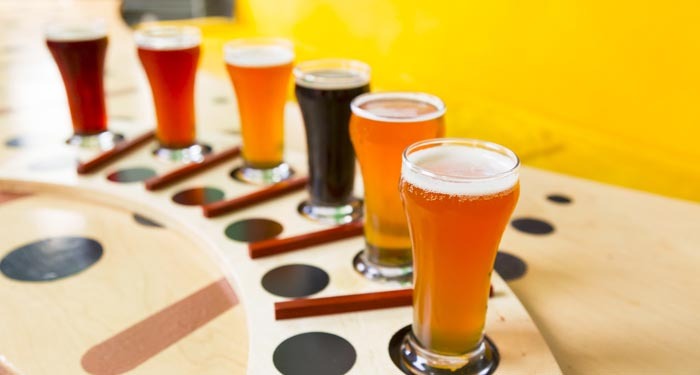 Many small craft beer companies want to get their product in local restaurants and bars. Some of the biggest beer companies today, started out as small mircobreweries first. We all know that most businesses take some time to grow, but if you have a product that people really enjoy, your company can take off very quickly. Many micro-brewery companies have been turning to alternative financing companies to fund their business. Nothing in life comes easy, all businesses have their ups and downs. Starting a new business or trying to expand your business costs time and money. In a perfect world, you would deliver your product and get paid on the spot by your customers. Since this is not a reality, you will need to figure out another way, this is where factoring comes into play. Selling your product by the case or by the keg or a combination of both, comes with real operating costs to your business. The more you sell the more it costs to produce, the more staff you will need to pay, the bigger the overhead and let’s not forget the cost to have your products delivered. Once you delivered your final product, getting paid should be the easiest part and maybe it will be, it will take time for the checks to come in. So how do you continue to operate and meet the market demands if you have slow paying customers? This is where we come in. The good news is that there is a simple solution for your working capital needs. Invoice factoring for craft beer companies is becoming a very popular choice among microbreweries. Factoring is alternative financing. We purchase your accounts receivable for immediate cash. There is not getting turned down due to credit scores, length of time in business or due to weak financial records. You deliver your product to your customers like normal, once you invoice your customers, you send us copies of the invoices you want us to purchase. We verify the invoices and the send you your money within 24 hours. You never again have to wait 30, 60 or even 90 days to get paid. In a beer drinking world that seems to be growing more every year, microbreweries need to position themselves for the increasing demand for specialty craft beers. Do you want a piece of this pie? Are you ready to ride this wave? Is your company stable enough financially, to take on new, larger orders? You sell us a invoice/s, we verify that the products have been delivered then we advance you up to 90% of the face invoice amount. We hold 10% back in a reserve account. We pay you and your customers pay us directly. Once we receive a payment, we send you back your reserve money, less the factoring fee. The factoring is around 2% for the first 30 days. If you sell us one invoice for $100.00, we advance you (in this scenario) $90.00, we put $10.00 in your reserve account. If we receive a payment in from your customer, within 30 days from the date that we purchased your invoice, we send you back (from your reserve account $8.00. You wind up with $98.00, our factoring fee to you would be $2.00. If you accept credit cards now, you pay a higher rate with the bank, then you will if you factor your invoices. It takes about five working days to have a new account setup with our company. After your account is approved, you will always be funded within 24 hours after our verification process. With Alliance One LLC, you sell us and invoice today, we pay you tomorrow!